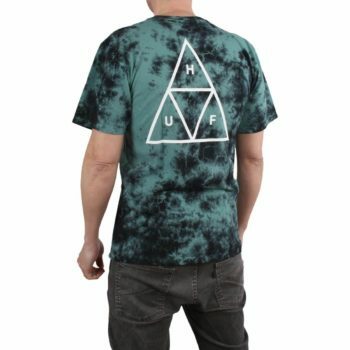 The HUF Triple Triangle Tie Dye tee is a premium short-sleeved t-shirt, made with a quality construction. 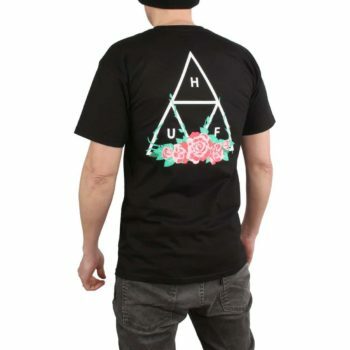 Huf Triple Triangle prints on the upper left chest and larger on the back. Hand dyed, Tie-Dye wash treatment. Made from 100% pre-shrunk, hand dyed Cotton. Woven clamp label on the hem. 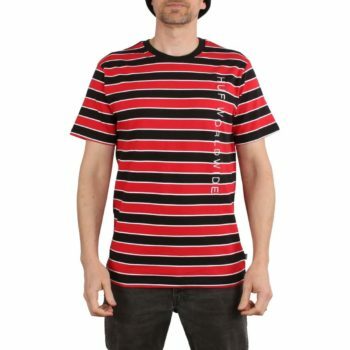 The HUF Essentials TT tee is a premium short-sleeved t-shirt, made with a quality construction. The HUF Essentials TT tee is a premium long-sleeved t-shirt, made with a quality construction. Huf Worldwide branding print down both sleeves. 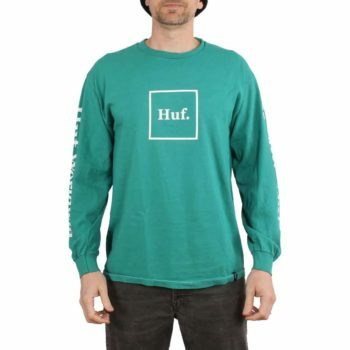 The HUF Domestic tee is a premium long-sleeved t-shirt, made with a quality construction. Huf Box logo print on the centre chest. 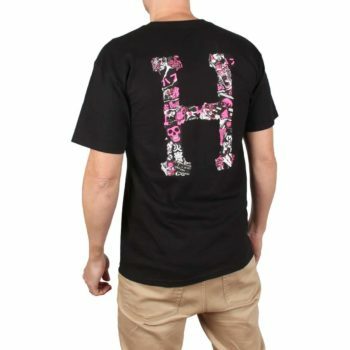 The HUF City Rose TT tee is a premium short-sleeved t-shirt, made with a quality construction. 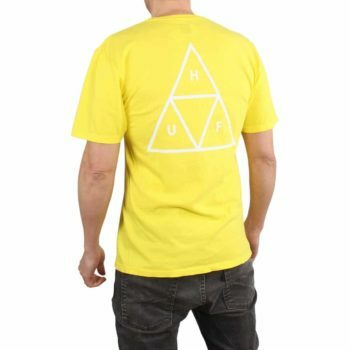 Huf Triple Triangle logo prints on the upper left chest and larger on the back. The HUF Prism TT tee is a premium long-sleeved t-shirt, made with a quality construction. 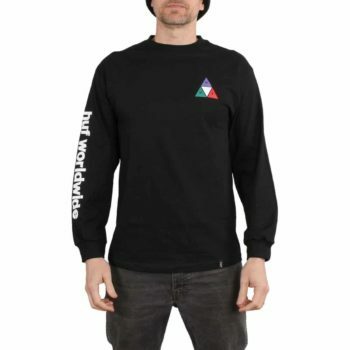 Huf Worldwide branding print down the right sleeve. The HUF Lexington Knit tee is a quality short-sleeved t-shirt, featuring a premium striped dyed yarn construction. Huf Worldwide vertical embroidery down the front left. 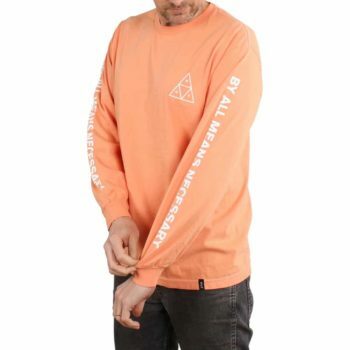 Made from 100% dyed yarn Cotton. Woven clamp label on the side seam. Elasticated neckline, with HUF branded taping. The HUF Proto Classic H T-Shirt is made from a comfortable cotton fabric giving a premium feel to the touch. 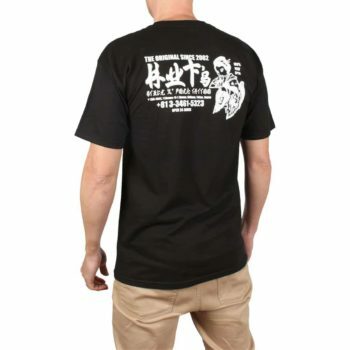 Huf Proto Classic H graphic screen print on the upper left chest and larger on the back. The HUF Stick N Poke T-Shirt is made from a comfortable cotton fabric giving a premium feel to the touch. Huf Stick N Poke graphic screen print on the upper left chest and larger on the back. 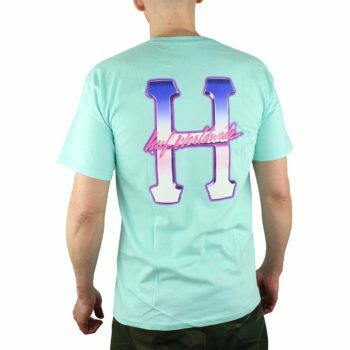 The HUF Outline Box Logo T-Shirt is made from a comfortable cotton fabric giving a premium feel to the touch.